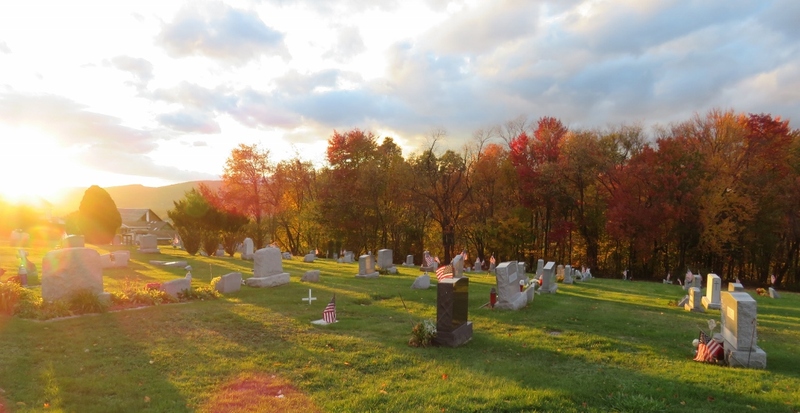 St. Michael’s Cemetery is located in the Pittston Junction section of Pittston, Pennsylvania. It is a short distance north of St. Michael’s Byzantine Catholic Church at the very top of a hill accessed from the main road. 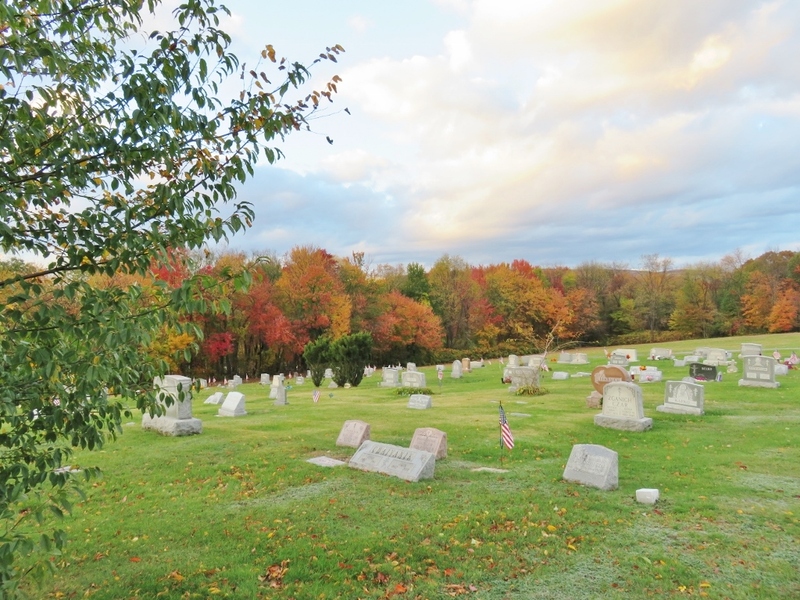 This large cemetery property was established by the newly formed parish community in 1913. The cemetery was dedicated in the same year work began on constructing the foundation of the church. 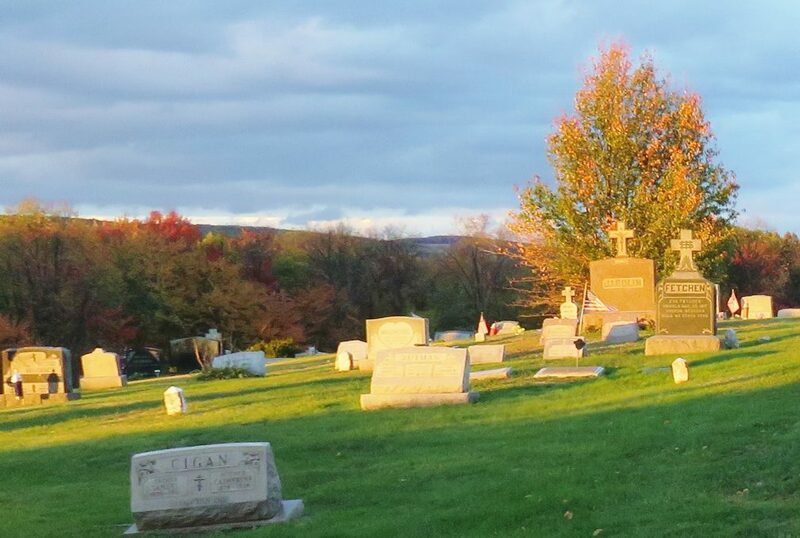 Church-affiliated Catholic cemeteries are established in accord with the doctrines of the Catholic church. 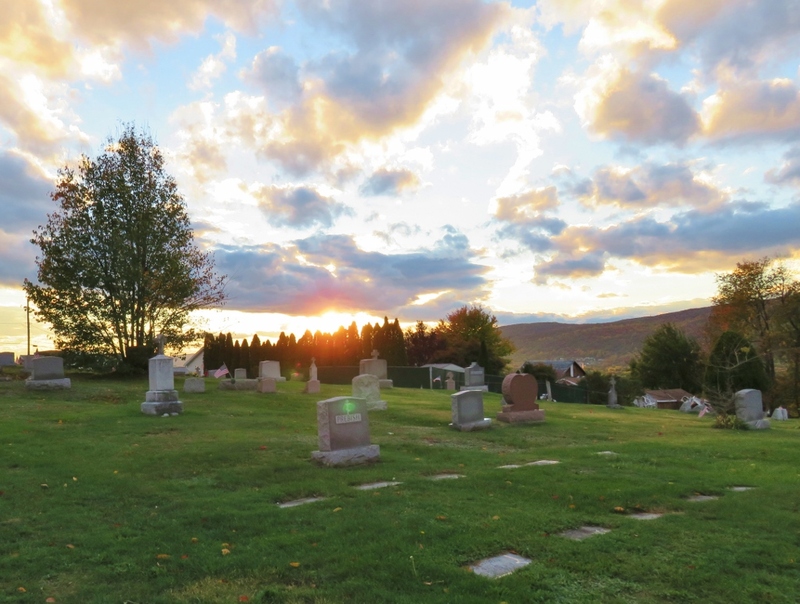 “The burial of the dead is a corporal work of mercy; it honors the children of God, who are temples of the Holy Spirit.”¹ Catholic cemeteries, therefore, are always consecrated, holy ground. Faithful Catholics affirm all they believe each time they recite or chant the Profession of Faith (Nicene Creed). In the Creed, we profess many important beliefs. As baptized Catholics, not only are we united to Christ through the sacrifice of the cross and his Resurrection, but we place our hope for salvation in Christ Jesus. The promise of eternal life is in being faithful and following what Jesus taught, obeying the commandments, and in living in him through the sacraments of the church. Jesus Christ points the way to salvation and in his mercy, gives us the freedom to choose to love him in his unfailing love for us.